Pinus strobus is a loose large evergreen tree with a gracefully plume-like in outline. Its branches are horizontal and tiered. Tufts of blue-green needles are borne in feathery clusters of five, like paint brushes at the ends of twigs. 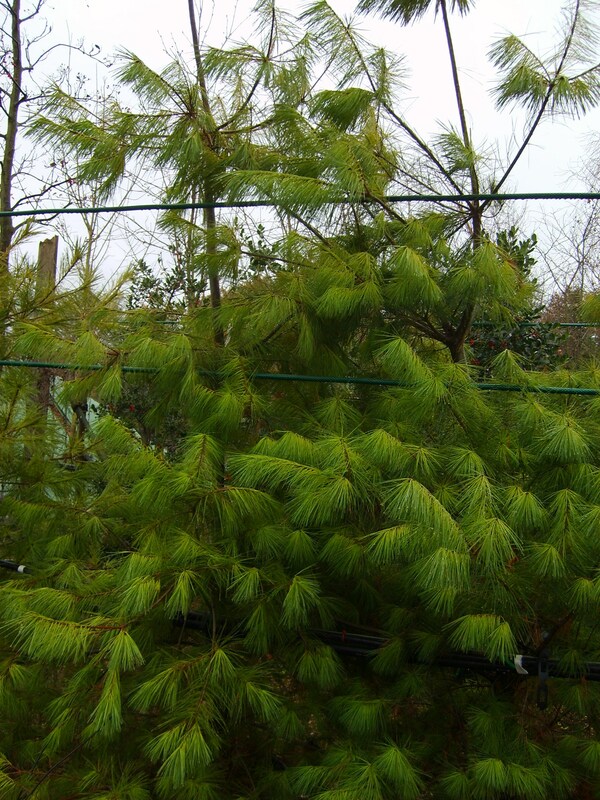 Weymouth or White Pine prefers cool-humid areas and well-drained soil.